Roots of Fire! East Meet West – Fusion or Confusion? Roots of Fire is a ground breaking project produced by the chamber orchestra Sinfonia Verdi and supported by the Bagri Foundation and Deccan Heritage Foundation which aims to celebrate the musical dialogue between East and West. Roots of Fire offers a unique opportunity to create music works and education resources that offer new audiences in the UK and India, the opportunity to engage with both Indian and Western music. 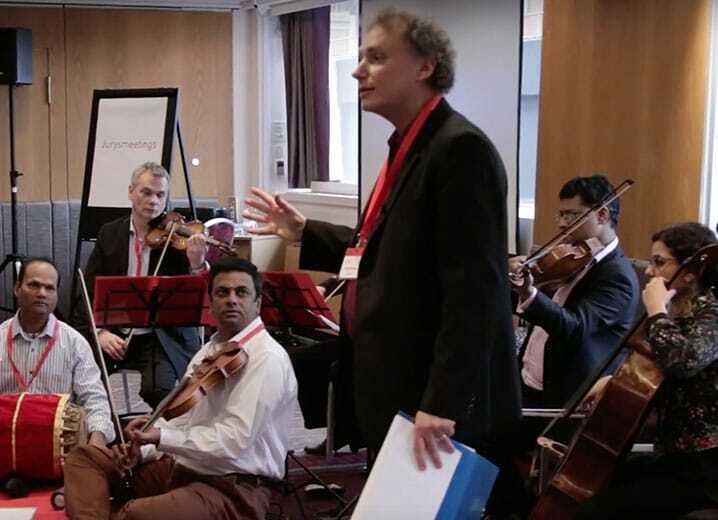 In this video, the music director of Sinfonia Verdi, David Murphy gives a presentation launching the project at the Association of British Orchestras Conference in Birmingham in January 2016.